Restaurateur Doug Bacon in his Hopewell Kitchen and Bar. The disparities are glaring: Restaurants with liquor licenses are concentrated in Boston’s more affluent neighborhoods. Of the city’s 1,110 licenses, a negligible number are held by African-American owners. Mattapan has no restaurant that serves alcohol. A Boston liquor license can cost $400,000 or more, putting it out of reach for anyone without deep pockets and the right business connections. But a recent proposal by city officials to expand access by creating more than 150 low-cost licenses is meeting resistance from restaurateurs who are convinced that the plan would be unfair and jeopardize their businesses. City Councilor Ayanna Pressley, with backing from the Walsh administration, in June unveiled legislation that would designate 105 new licenses costing about $3,000 for lower-income neighborhoods such as Mattapan, Roxbury, Mission Hill, and East Boston. The city implemented a similar expansion in 2014, but the new bill also creates licenses that can be used anywhere in the city, and that has restaurateurs worried. Current operators are concerned that allowing more establishments to sell alcohol will water down the value of their existing licenses, which are often a restaurant’s biggest asset. Restaurant owners who spoke with the Globe recalled emptying their savings accounts, borrowing money from family members, even mortgaging their homes for a license, which can mean the difference between profits and bankruptcy in the low-margin business. 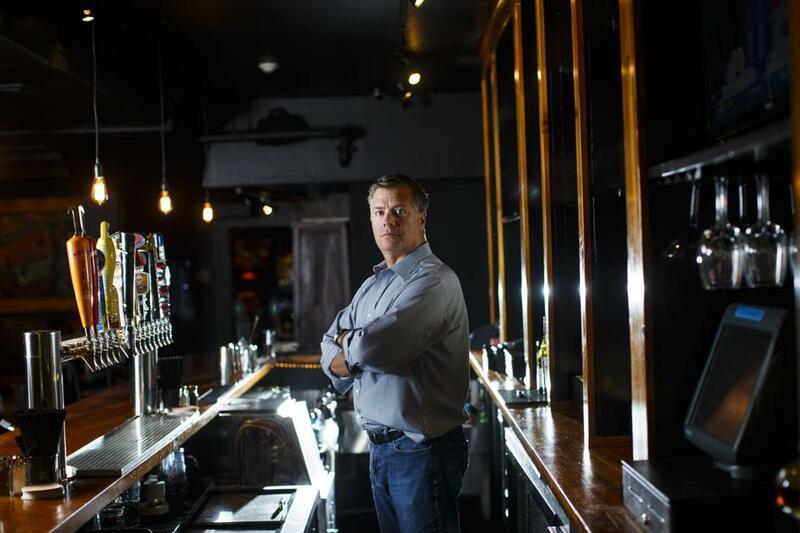 “The one thing I knew was, if something goes wrong — the business burns down or I lose my lease — I’ll always be able to sell my liquor license,” said longtime restaurateur Doug Bacon, whose Red Paint Hospitality Group owns the White Horse Tavern, Corner Tavern, and several other Boston bars. Bacon and others are primarily worried about the inclusion in Pressley’s proposal of an additional 30 low-cost licenses that could be used anywhere in Boston. That, they argue, would allow new competitors who won cheap permits to open near — and potentially undercut — existing restaurants that must repay investors or lenders for full-cost licenses. “If someone else opens across the street and doesn’t have to pay $300,000,” Bacon said, “now they can charge $8 for the same cheeseburger” he sells for $12. Some restaurateurs also argue that adding so many new licenses would stretch the tight supply of food workers. “This is going to create an un-level playing field for existing operators who have poured their blood, sweat, and tears into getting their licenses,” Bob Luz, president of the Massachusetts Restaurant Association, told city councilors during a hearing in June on Pressley’s proposal. The high prices for a Boston license stem from an early 20th-century state law, written by temperance-minded and anti-immigrant state lawmakers seeking leverage over Boston’s rising class of Irish political leaders. They imposed the cap. Today there are 745 full liquor licenses and 365 for malt, wine, and beer. That’s just 130 more than when the cap was first established more than a century ago. For a new restaurant to open, an existing one has to close or stop selling alcohol. There is a cutthroat market of transactions between buyers and sellers, often mediated by brokers, in which prices can range up to $450,000 depending on the type of license and whether it is tied to a preexisting restaurant location. Critics say the cap pushes license prices ever higher, protects existing operators, and makes it hard for newcomers to break into the business. They say it has also led to a concentration of restaurants in a handful of affluent, white areas. Pressley hopes to ameliorate the concerns of existing license holders by tying most of the new licenses to specific neighborhoods and by stipulating that when restaurants with these new licenses close, the licenses would have to be returned to the city, not sold on the open market, where they would drive down the value of licenses purchased at full price. These 105 “restricted,” or non-transferable, licenses — plus another 15 licenses designated for neighborhood commercial “Main Street” districts — would be awarded gradually over three years. Douglass Williams is owner/chef of MIDA, in the South End. Only a handful of the 30 city-wide licenses, meanwhile, could be used in the restaurant-dense neighborhoods of Beacon Hill, Back Bay, and North End. Many restaurateurs say they, too, would like to see more restaurants in less-developed sections of Boston but worry the proposed system would still reduce demand for (and therefore the price of) their licenses, as potential buyers forsake the secondary market and instead seek to score one of the city’s discounted licenses. Even the mere possibility of the Legislature creating more licenses could prompt buyers to wait it out, again stifling demand. Pressley’s proposal would also create an “umbrella” class of licenses for large mixed-use developments that might otherwise gobble up multiple permits for their restaurant tenants. The provision has outraged current license holders, who wonder how developers backed by millions in financing might somehow benefit from a proposal intended to help minority entrepreneurs with negligible resources. Exacerbating all these concerns is the fact that Pressley and the Walsh administration have suggested they would simply abolish the license cap if it were up to them. And with advocates pushing the city to move even more aggressively in that direction, restaurant owners see Pressley’s new proposal as another step down a slippery slope — one with a worthless license at the bottom. “You can’t draw any conclusion except that the powers-that-be in Boston have concluded it’s more of an economic benefit to have more licenses than to sustain the value of the existing 1,000 licenses,” Connell said. The recent plan is Pressley’s second attempt at tackling the problem; in 2014, she secured 75 new licenses from the State House, of which 69 have been distributed, primarily to underserved neighborhoods and the “Main Street” districts. 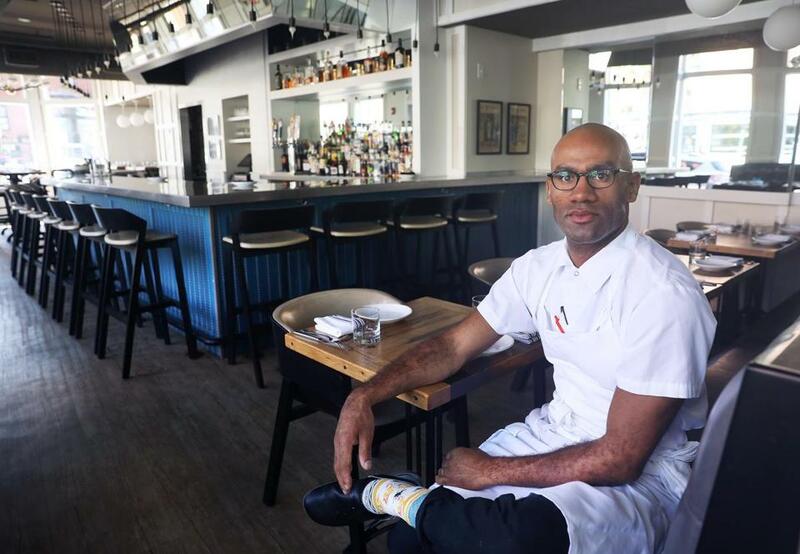 Chef Douglass Williams bought one of the new licenses last year for $2,500, which he said allowed him to open his restaurant MIDA in the South End without taking on massive debt. He’s now one of a handful of African-American liquor license holders in the city. Williams broke down crying in the state alcohol licensing office when he learned he’d secured one. “I had done something that was not achievable for so many people,” he said. Still, Williams understands the frustrations expressed by his established colleagues. Pressley said the earlier measure bolstered a number of restaurants, including MIDA, that are now “critical social and economic anchors” in their neighborhoods. She acknowledged it resulted in a somewhat uneven distribution of licenses — one neighborhood, Mattapan, yielded no applications. Pressley said part of the problem was that neighborhoods under the 2014 measure competed for permits issued from a common pool, while the new plan assigns each targeted area 15 licenses of its own. In one instance cited by critics, Estragon, a thriving South End tapas joint located in a “Main Street” district, received one of the discounted all-liquor licenses, then sold its previous beer-and-wine-only permit for $40,000 to a fledgling restaurant in Roslindale that was unluckily located a couple of blocks outside one of the eligible districts. The Roslindale restaurant, Seven Star Street Bistro, recently closed. Officials have also not closely tracked the impact or disposition of the 75 licenses issued in 2014 — or any liquor licenses — making it hard to tell whether they helped neighborhoods as intended. Thanks to its antiquated record-keeping system, Boston’s licensing board said a Globe request for a list of license transactions in the past decade would necessitate manually scouring thousands of printed meeting agendas. Critics of Pressley’s plan said the city ought to be able to tell them what worked and what didn’t in 2014. “If you’re saying we should issue 150 new licenses, well, where did the 75 go last time?” Bacon said. Some compromises have been floated. City Councilor Michael Flaherty suggested assigning the new licenses a value based on the current market, then allowing new restaurateurs to “pay into” their licenses over years or even decades until they owned them outright, at which time the license could be sold or transferred. That, he said, would make the up-front cost manageable without devaluing current licenses. Janelle Nanos can be reached at janelle.nanos@globe.com. Follow her on Twitter @janellenanos. Dan Adams can be reached at daniel.adams@globe.com. Follow him on Twitter @Dan_Adams86.